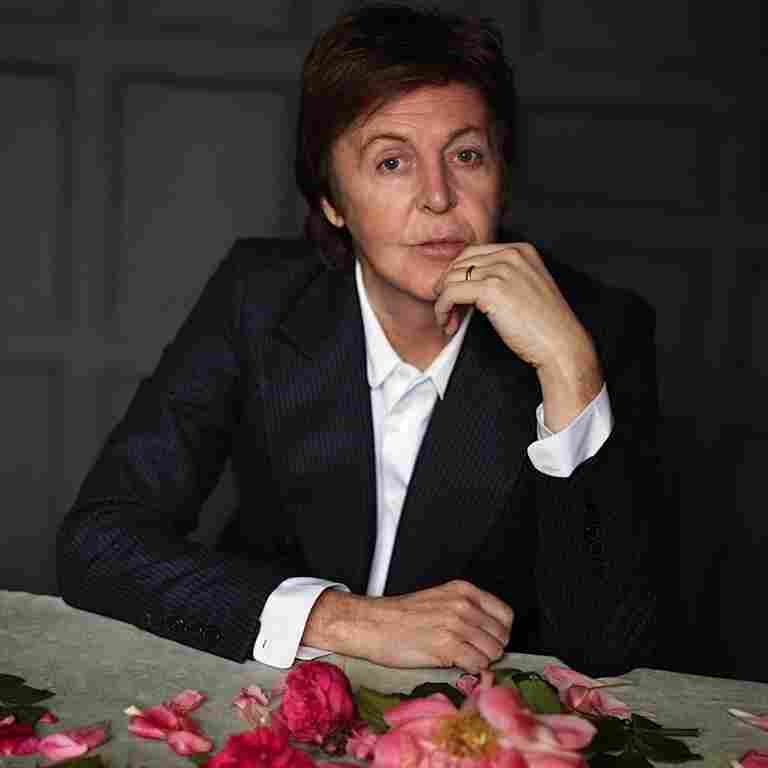 First Listen: Paul McCartney, 'Kisses On The Bottom' A collection of pop standards, Kisses on the Bottom takes a breezily good-natured look back. Only McCartney's instantly recognizable voice tethers the collection to any modern musical era. It takes about 10 seconds — and a glance at the album's title — to recognize that Kisses on the Bottom (out Feb. 7) is not going to rank among the major recorded works of Paul McCartney's life. A collection dominated by breezily paced standards, it announces itself as a good-natured trifle with its album-opening cover of "I'm Gonna Sit Right Down and Write Myself a Letter." In addition to containing the line which gives Kisses on the Bottom its goofy title (in the tamest possible context, of course), the track is awash in the trappings of light vocal jazz: Instruments aren't so much played as brushed against as unassumingly as possible. 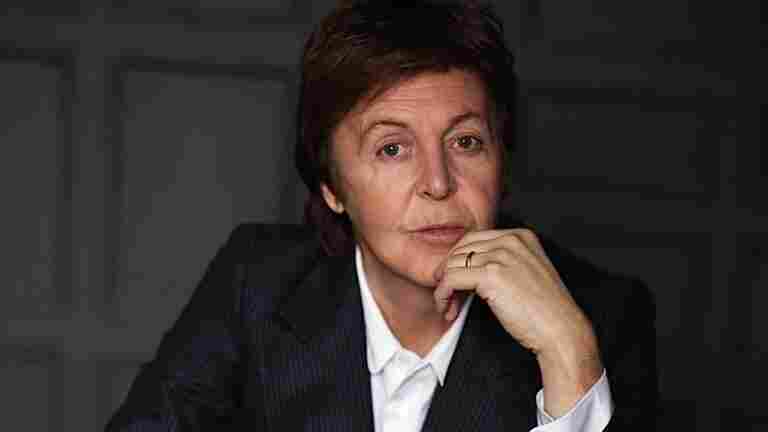 Only McCartney's rich and instantly recognizable voice tethers Kisses on the Bottom to any modern musical era, and he's spanned quite a few of those himself. Which is part of what's jarring about the record: Paul McCartney has written or co-written so many standards, in The Beatles and beyond, that it's easy to forget he grew up loving music that wasn't his. Here, that includes selections both predictable ("It's Only a Paper Moon") and... less predictable ("The Inch Worm"), as well as two new originals. Those songs, "My Valentine" and "Only Our Hearts," grab high-profile assists from fellow giants — Eric Clapton in the former, Stevie Wonder in the latter — while sliding smoothly into the mix, thanks in part to assists from Diana Krall and her backing band. For those who recoiled in horror at Rod Stewart's late-career reinvention as a crooning keeper of the Great American Songbook, the idea of Kisses on the Bottom is bound to stir up a bit of unease: McCartney's recent solo output has been up and down, sure, but with his 70th birthday looming in June, he's no nostalgia act. Better to think of Kisses on the Bottom as a well-intentioned look back, from a canny and confident artist who'll take many more opportunities to turn his gaze forward in the years to come.